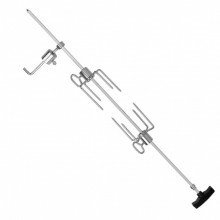 Beefeater 5 Burner Rotisserie KitThe legendary Australian outdoor grilling experience taken to the n..
Weber Q3000/Q300 BBQ Rotisserie suitable for Weber Q300, Q320, and Q3200 Gas BBQ. Complete with heat.. 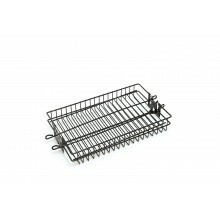 The Weber Rotisserie Basket is the perfect addition to your Weber Rotisserie. Simply attach the.. 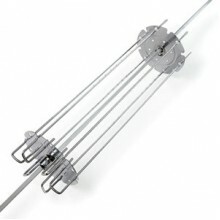 The Weber Rotisserie Skewer System is suitable for use with all Weber Rotisserie units. 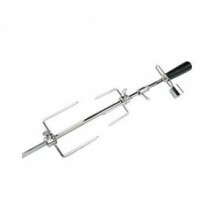 Whether..
Broil King Rotisserie Kit 60508This Universal Rotisserie Kit from Broil King is heavy duty so you ca..
Broil King Mains Rotisserie Kit 6052439.5in universal rotisserie kit includes heavy duty 4 prong spi..
Chrome-plated spike and forks including battery-driven stainless steel motor housing available i.. 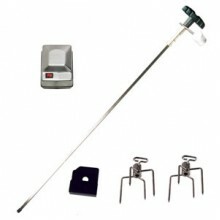 Grill Pro Broil King Rotisserie KitIncludes heavy duty spit forks, counter balancing kit, spit rod a.. 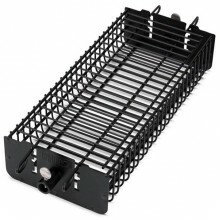 Grill Pro Deluxe Non Stick Rouble Tumble BasketNonstick tumble basket attaches to rotisserie rod. Id.. 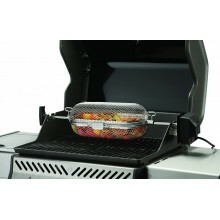 Grill Pro Deluxe Non-Stick Flat Spit BasketA perfect addition to your rotisserie grill! The GrillPro.. 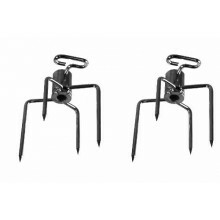 Grill Pro Replacement Spit ForksReplacement for rotisserie kitsFits 3/8-Inch rodHolds food securely ..
Napoleon H/D Rotisserie - 325/410/495 - 69413Napoleon rotisserie kit for the Triumph, heavy duty rod..
Napoleon 665 Rotisserie Kit 69633Commercial rotisserie kit with rod, motor and forks. 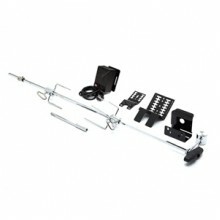 Mains power on..
Napoleon Commercial Rotisserie Kit Pro 825 69533Napoleon rotisserie kit for Pro 825 BBQ Model - Add ..
Napoleon Heavy Duty Rotisserie Kit 365/525 - 69813Suitable For Napoleon 365 and 525 BBQ ModelsDelive..
Napoleon 405/450/485/500 Rotisserie Kit 69213Heavy duty rotisserie kit with mains powered motor whic..
Napoleon 600/605/730 Rotisserie Kit 69333Heavy duty rotisserie kit with rod, motor and forks. 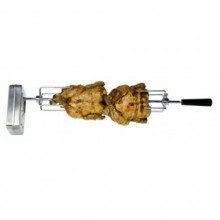 Mains ..
Napoleon 425 Heavy Duty Rotisserie Kit 69713Heavy duty rotisserie kit with mains powered motor which..
Napoleon Rotisserie Shish Kebab Wheel 64007Turn your rotisserie into a Shish Kebab wheel with the Na..
Napoleon Stainless Steel Rotisserie Basket 64000Great for preparing the vegetables to tumble and roa..